S. Korea's Cryptocurrency Industry Welcomes Regulator's Dramatic Change of Heart - Integration Through Media ....! 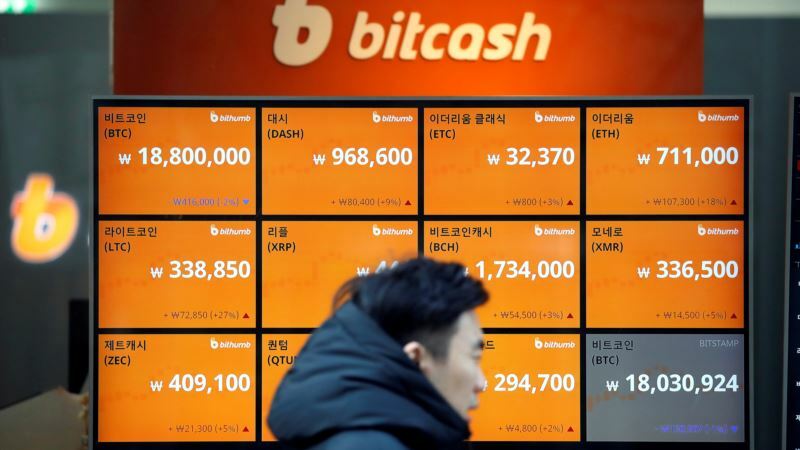 (VOA): South Korea's cryptocurrency industry is anticipating much better times as the market regulator changes tack from its tough stance on the virtual coin trade, promising instead to help promote blockchain technology. The regulator said Tuesday that it hopes to see South Korea — which has become a hub for cryptocurrency trade — normalize the virtual coin business in a self-regulatory environment. “The whole world is now framing the outline [for cryptocurrency] and therefore [the government] should rather work more on normalization than increasing regulation,” Choe Heung-sik, chief of South Korea's Finance Supervisory Service (FSS), told reporters. FSS has been leading the government's regulation of cryptocurrency trading as part of a task force. Cryptocurrency operators have drawn a new optimism from Choe's comments, seeing them clearly indicating the government's cooperation in their plans for self-regulation. “Though the government and the industry have not yet reached a full agreement, the fact that the regulator himself made clear the government's stance on cooperation is a positive sign for the markets,” said Kim Haw-joon of the Korea Blockchain Association. Wednesday's news is a stark reversal of the justice minister's warnings in January that the government was considering shutting down local cryptocurrency exchanges, throwing the market into turmoil. Bitcoin, the world's most heavily traded cryptocurrency, is now changing hands at a three-week high of $11,086 on the Luxembourg-based Biststamp exchange after falling as low as $5,920.72 in early February.